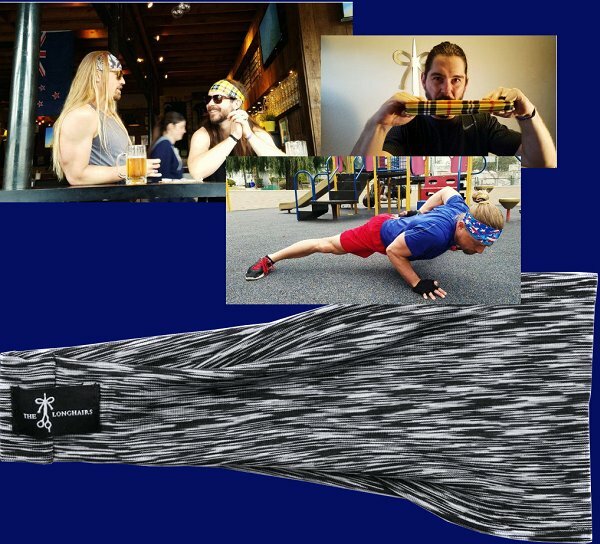 : : Try a spandex headwrap at hair ties for guys. I got the blue for the gym and like how it's easy to put on (sewn shut), doesn't break hairs and keeps them out of my face. : Don't follow the link on the above post. : Marwarebytes flagged the site for malware. Not sure why the site got flagged. I use Firefox with extensions for scripts and adware and never had problems. Here is some pictures.